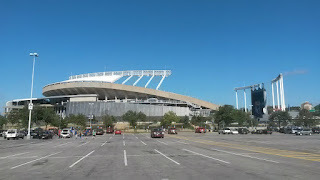 Kauffman Stadium is located at 1 Royal Way in Kansas City, Missouri. 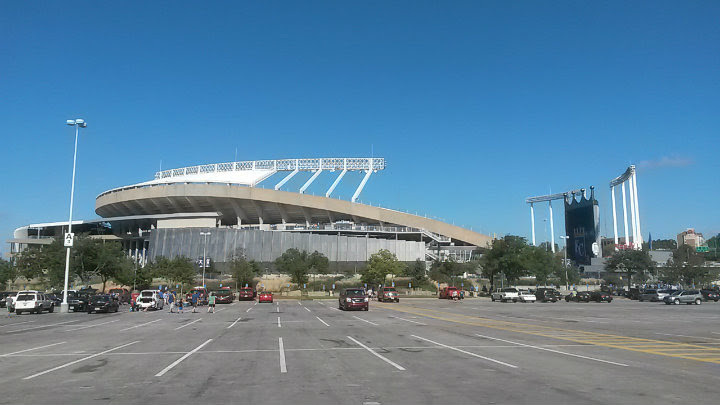 It is home to the Kansas City Royals (MLB) and is adjacent to Arrowhead Stadium (where the NFL's Kansas City Chiefs play). 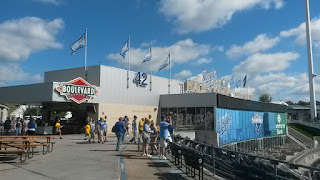 The place opened as Royals Stadium in 1973 before getting renamed after original owner Ewing Kauffman in 1993. 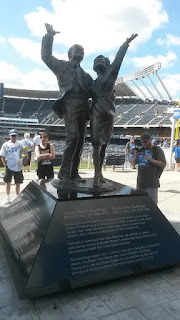 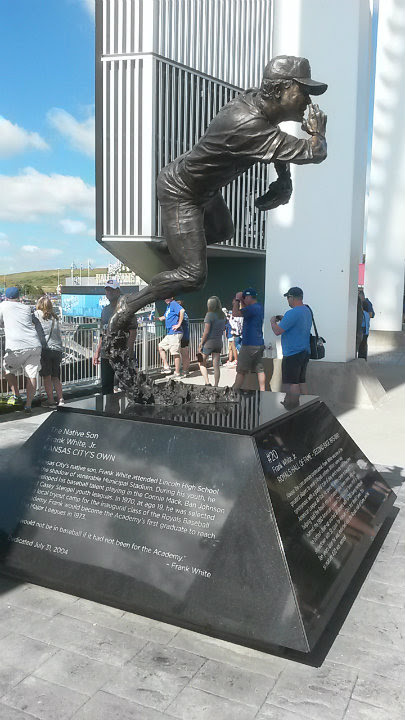 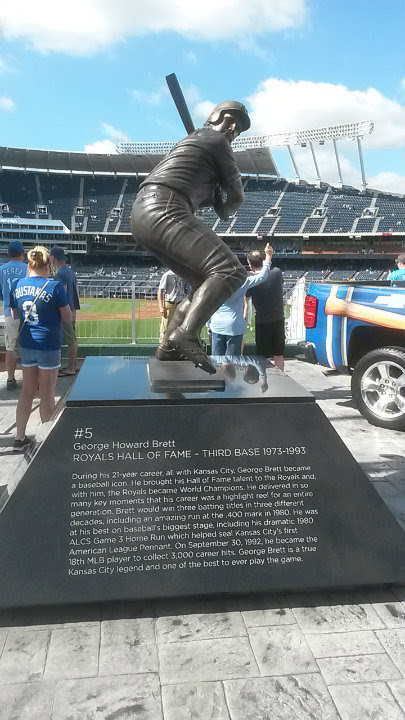 The Kauffmans (Ewing and Muriel) are prominently honored in the stadium, along with Royals greats such as George Brett and Frank White, Jr. 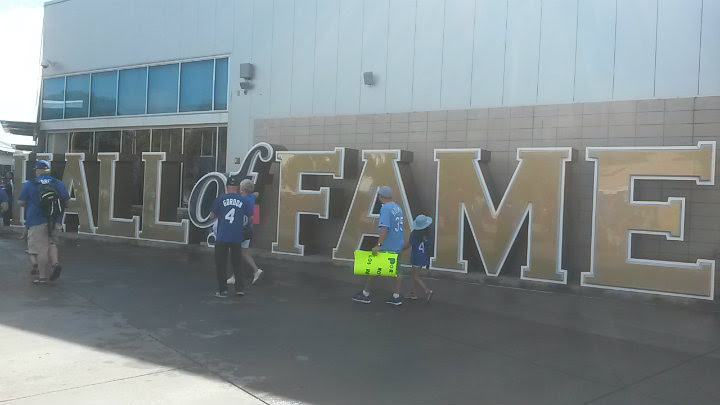 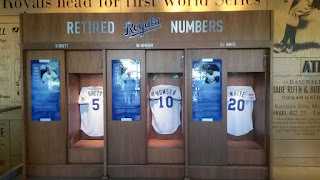 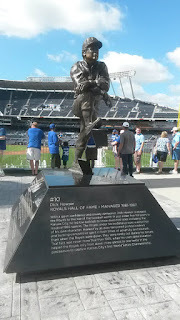 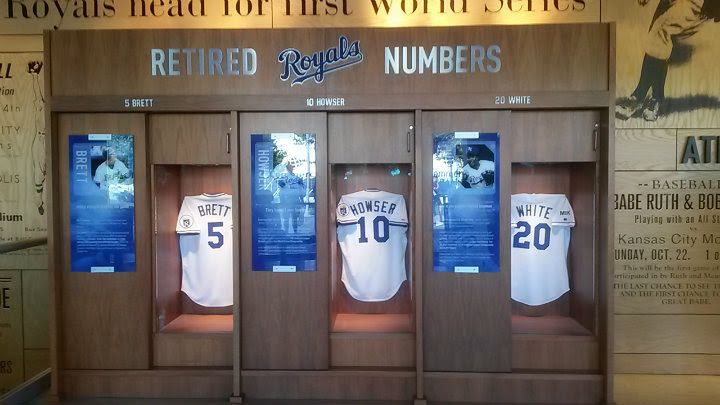 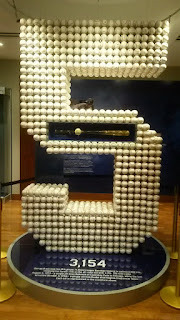 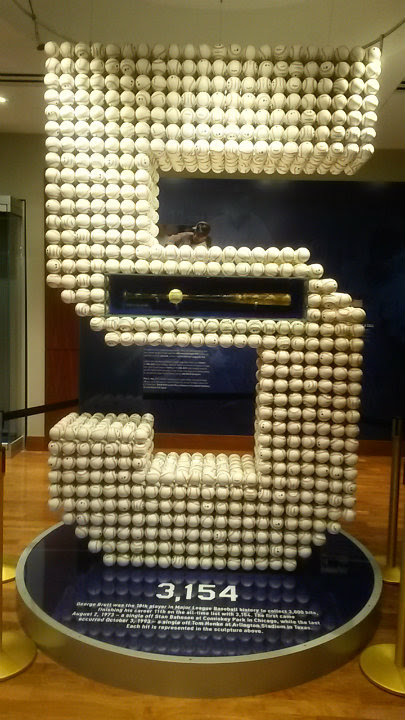 The Royals Hall of Fame, located behind the left field seats, is outstanding and a must-visit for baseball fans. The fountains in left-center and right-center field are gorgeous. 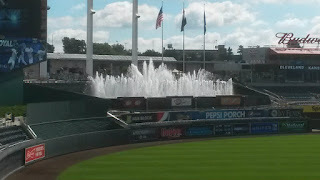 People will take pictures with the fountain in the background. 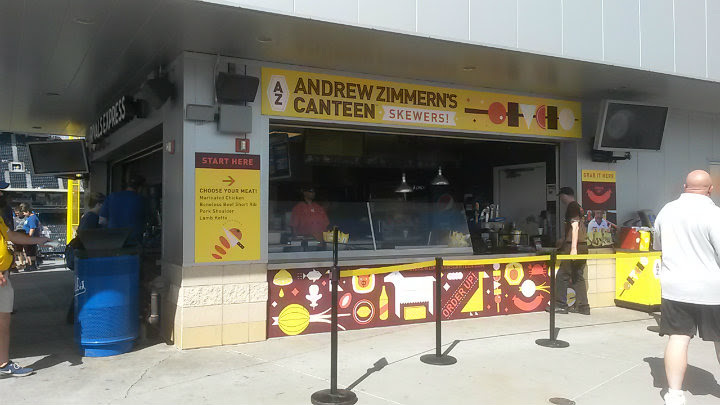 Some of the food here is fairly traditional, from the nachos to the hot dogs. 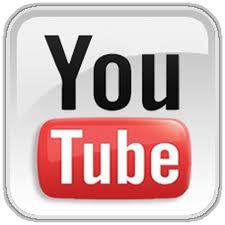 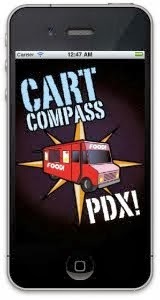 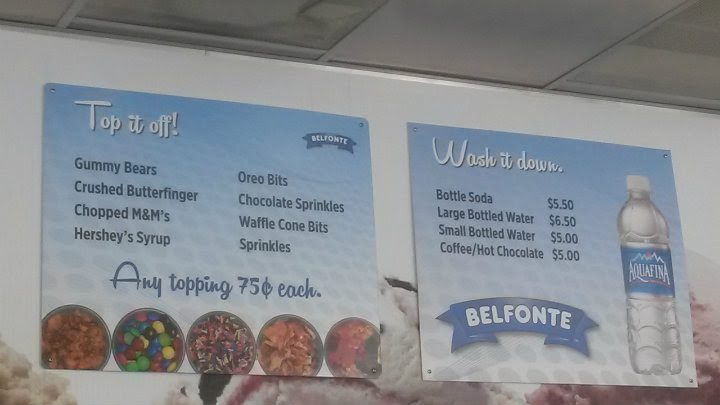 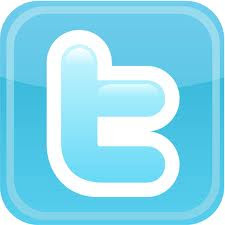 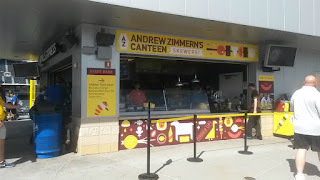 However, be sure to check out Andrew Zimmern's Canteen and the Belfonte ice cream shop. 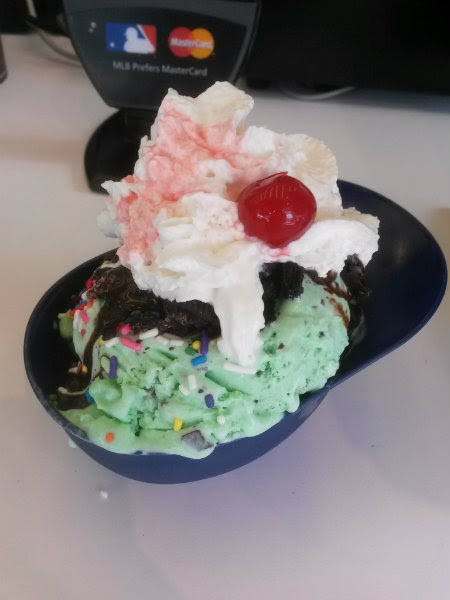 I wanted a Royals Sundae ($8) which comes in a plastic Royals helmet replica that you can take home with you. 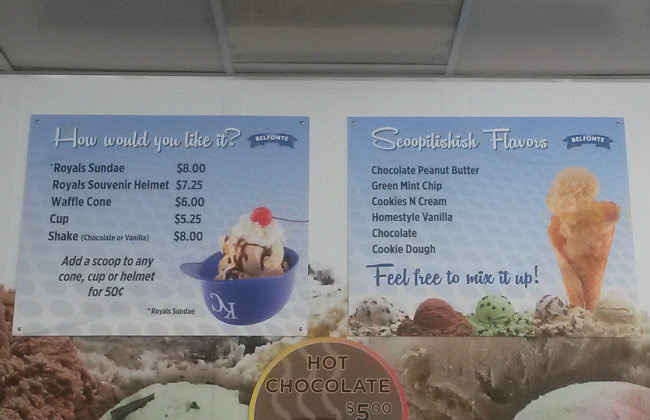 If you want the full-sized helmet, get the nachos from one of the food stands. As for beer, the Royals bring in Boulevard Brewing to represent the craft beer scene. 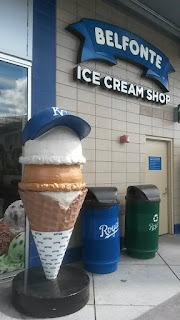 However, a pint of Boulevard beer will set you back $10. Typical stadium inflated prices.